Is “Dental Care for All” on the Horizon? The Knowledge Base—What Do We Know? The United States has problems with oral health. 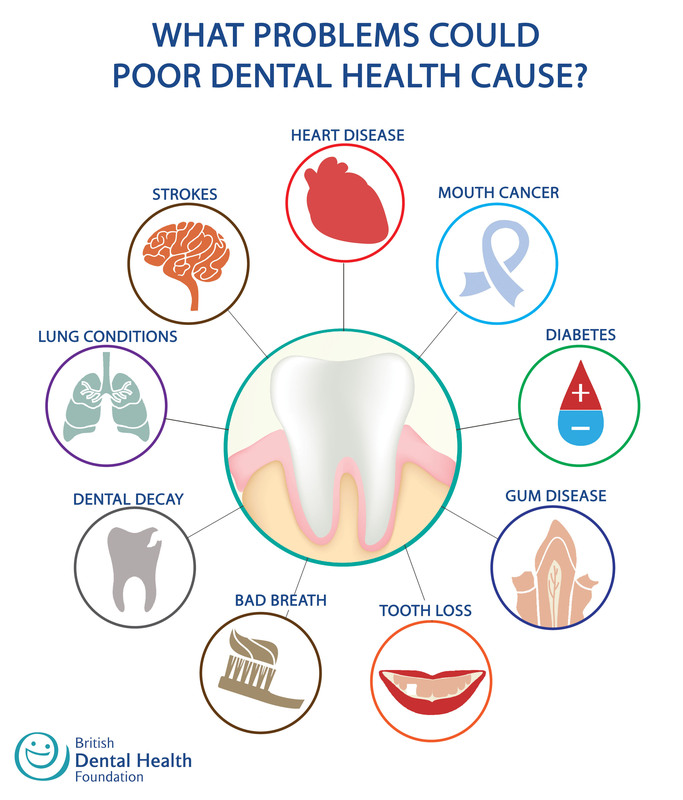 While most Americans’ oral health has improved markedly over 60 years, many millions are left behind and hurting. Societal improvements in science, technology, education, hygiene, community water fluoridation, and school-based services have not been broadly shared.2 Today, 130 million Americans, primarily adults, have no dental coverage. Many Americans with coverage find today’s health insurance cost-sharing requirements a prohibitive barrier to care. Medicare provides no dental coverage for 70% of its enrollees; 40% of them did not visit a dentist in 2014 and 60% have severe or moderate gum disease. Medicaid does cover dental services for low-income children but 17 million of them got no dental care in 2009. In most states, Medicaid covers no or little dental care for poor adults, while 47 million Americans live in areas where finding a dentist can be impossible. Because of these access issues, 25% of adults over age 65 have lost all their teeth (edentulism). In 2009, US hospital emergency departments saw 850,000 visits for preventable dental pain. The avoidable disease called dental caries (or cavities) is 5 times more prevalent than asthma and affects 60% of children age 5 to 17. For those left behind, it’s a crisis. Oral health is an important part of US racial and ethnic health disparities. Author John McDonoughPosted on December 20, 2016 Categories Health Policy, National Health Policy, Public HealthTags dental health, oral health, Public HealthLeave a comment on Is “Dental Care for All” on the Horizon? 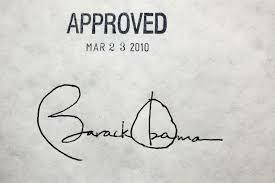 The 2010 passage of the Affordable Care Act (ACA) raised numerous opportunities for disease prevention. Of the 10 legislative titles comprising the ACA legal framework, Title 4 (“Prevention of Chronic Disease and Improving Public Health”) initially held the most promise for delivering new financial resources as well as effective policy for prevention.1 Six years later, Title 4 outcomes show mixed results. In the meantime, however, other ACA innovations are redesigning health systems by incorporating prevention into a range of new care models. Doing so connects the clinic and the community in ways not necessarily envisioned in the statute, thereby broadening possibilities for the future of population health. For those desiring serious and compelling conversation on the presidential campaign trail about the future of our nation’s health, this is a dispiriting time for two reasons. First, candidates have precious little to say about our most compelling challenges relating to the nation’s health as opposed to our medical care. They follow familiar and politically reliable prescriptions on both sides of the partisan divide. Second, the raw material for a rich and potent debate concerning the public’s health has never been more abundant. I have hope that this conversation can occur, though not in the context of the 2016 political circus. Extensive research confirms “a large and rising international ‘mortality gap’ among adults age 50 and older,”1(p.1) according to the NAM panel. Disability—one of the highest prevalence rates of activity limitations among older adults. The NAM results are not totally bad and include higher survival after age 75 years, as well as better rates regarding cancer, blood pressure and cholesterol levels, smoking, and stroke mortality. Of note, given recent public preoccupations in the political campaign, the health status of recent immigrants is better than that of native-born Americans. The Report is a staggering indictment of our American society in this new century. Back in 1980s, President Ronald Reagan taught the nation the power of positive thinking in shaping attitudes. This report is downer, which may help to explain why it is so hard to break into the national conversation. Yet it is also true is that in recent years, we have seen other reports that paint a bleak picture of our nation’s health. And not to let US health care off the hook, the performance of our medical care system continues to underwhelm. A recently released study by the World Health Organization and The Economist Intelligence Unit, “Healthcare Outcomes Index 2014,” examining the health care systems of 166 nations, ranked the United States number one in spending and number 33 in quality outcomes, placing it among the least efficient systems on the planet, and ranking behind nations such as Lebanon and Costa Rica.4 Figure 2 shows the broad ranges of nations that achieve better results for their societal investments in health care. I recall in the 1980s reading health economists speculate about “flat of the curve medicine,” the hypothetical point at which further expenditures on medical care could actually produce worse health. Figure 2 illustrates that US spending now is beyond the flat of the curve and that the hypothesized adverse outcomes from outsized medical care spending are now real. Research over the past five years by Bradley at Yale offers a compelling hypothesis to explain at least part of our nation’s dismal performance—among all advanced nations, the United States spends by far the most on a per person basis on medical care while spending nearly the least on a per person basis on nonmedical social service spending such as education, day care, job training, housing support, nutritional assistance, and more.5 Focusing less on medical care and more on needs relating to the social determinants of health seems to help produce more beneficial population health outcomes than our nation’s prioritization on the reverse. Figure 3 illustrates Bradley’s key findings. So here we are with an accumulating knowledge base of a deep and profound societal problem. Our approach—or perhaps non-approach—to health is killing us and weakening our nation. Is there a presidential candidate talking about any of this? Yes, Senator Bernie Sanders proposes a Medicare-for-all single payer system that might provide the best opportunity for systemic reorientation. Yet the real-world chances for such a radical redesign do not offer great confidence. One of the most surprising developments in American politics in recent years has been the emerging common ground from the nation’s political right and left regarding US criminal justice and prison policies that leave us with the world’s highest incarceration rates. From widely diverging ideological perspectives, deeply divided political adversaries are engaging in serious and substantive collaboration to change these policies. I see the basis for a new conversation between the political left and right regarding our nation’s over-reliance on medical care to address human needs that could far more effectively and efficiently be addressed in preventive and nonmedical ways by tackling the social determinants of health. Surely, citizens who identify as conservatives have no reason to cheer our outsized and debilitating level of spending on medical care. Might we see in the new incarceration dialogues inspiration for a new and path-breaking conversation on how to get our nation’s health care needs and spending in better order? Although it is already late to get these issues planted in the 2016 national political agenda and campaign, it is not too late to spur conversation and education. While the process for major political change takes time, the work has to begin somewhere. The nation’s public health community has a lot to say and much to contribute to this process. 1. SH Woolf, L Aron, eds. US Health in International Perspective: Shorter Lives, Poorer Health. Washington, DC: National Academies Press; 2013. Available at: http://www.nap.edu/catalog/13497/us-health-in-international-perspective-shorter-lives-poorer-health. Accessed January 15, 2016. 3. L Aron, L Dubay, E Waxman, S Martin. To understand climbing death rates among Whites, look to women of childbearing age. Health Affairs Blog. November 10, 2015. 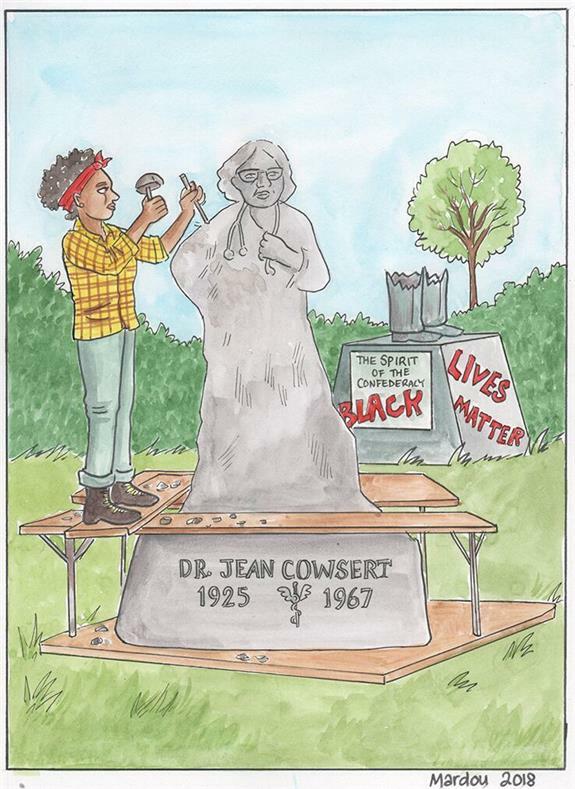 Available at: http://healthaffairs.org/blog/2015/11/10/to-understand-climbing-death-rates-among-whites-look-to-women-of-childbearing-age. Accessed January 15, 2016. 4. The Economist Intelligence Unit Healthcare. Health outcomes and cost: a 166-country comparison. Available at: http://stateofreform.com/wp-content/uploads/2015/11/Healthcare-outcomes-index-2014.pdf. Accessed January 15, 2016. 6. EH Bradley, LA Taylor. The American Health Care Paradox. New York, NY: Public Affairs; 2013. 7. L Neff. Actually, the US is NOT spending more than any other country on health. Sojourners. August 1, 2013. Available at: https://sojo.net/articles/actually-us-not-spending-more-any-other-country-health. Accessed January 15, 2016. First, building on existing collaboration, serious analysts and policymakers on both sides of the political spectrum should explain more extensively how resources currently restricted to either health care or social services and housing should and could be more routinely braided together. Despite some interesting experiments and demonstrations that allow certain health and housing money to be mixed and used creatively, budget restrictions and payment systems generally make this difficult. We could seek to agree on a mixture of legislative action on payments and budgets, and using Medicaid (Section 1115) waivers, to permit money currently available only for medical services to be used instead for housing and social services where that could be shown to improve the health of individuals in a community. 1. Gawande. Being Mortal. New York, NY: Metropolitan Books; 2015. 2. P Singh, SM Butler. Intermediaries in Integrated Approaches to Health and Economic Mobility. Washington, DC: The Brookings Institution; 2015. 3. SM Butler, J Grabinsky, D Masi. Hospitals as Hubs to Create Healthy Communities: Lessons From Washington Adventist Hospital. Washington, DC: The Brookings Institution; 2015. We get so caught up in the Donald and Hillary and Ted and Bernie shows. Yet there is so much else going on in the world about which most Americans never hear — such as global health. Malaria: After 30 years and $565M, 2015 saw the development of the first-ever malaria vaccine; 50% of world population is at risk at risk and this development just might transform millions of lives for the better. HIV: The World Health Organization updated its guidelines for HIV treatment recommending that it be universal, and that everyone should be treated as soon as positive test result is made; those on treatment are far less likely to transmit the virus to another person. Climate change: The Paris Agreement on climate change puts in place the first international brakes on global warming, with 196 participating nations, and legally binding when signed by at least 35 countries. Bariatric Surgery: Though the spread of this treatment is controversial, it is considered the most important breakthrough in diabetes care since the discovery of insulin, with unrivaled health benefits. Ebola: We are seeing the beginning of the end of the West African Ebola Crisis – though the ordeal is far from over for 17,000 survivors. Polio: Last year we saw the elimination of polio from the African continent – the last cases were in Nigeria and in September the WHO said that polio is no longer endemic in Nigeria. Only Afghanistan and Pakistan remain as countries with polio. Eradication is possible! 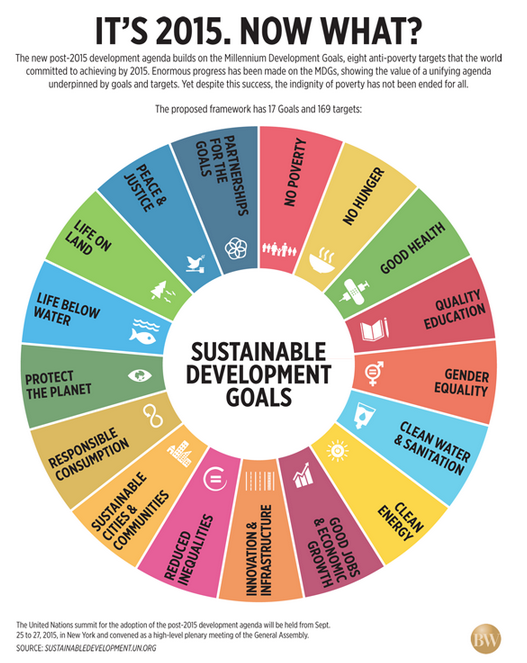 Approval of the Sustainable Development Goals: 2015 saw the final approval of new international health and social development goals; compared with the earlier Millennium Development Goals, the SDGs are more comprehensive, more inclusive, and financed to encourage sustainable development. Research: A Nobel Prize was awarded to researchers for novel therapies for parasitic diseases and malaria, demonstrating the vital role and positive impact of research on global health. Ending Extreme Poverty: The number of people living in extreme poverty (defined as less than $1.90 per day) is down 10%, down from over 900m in 2012 to under 700 million now; a big MDG goal to end extreme poverty by 2030. Maternal & Child Health: Infant mortality is down to an all time low, down 54% since 1990 down by to 5.9 million, from 63 deaths per 1000 live births in 1990 to 32 in 2015; maternal mortality is down 44%. Water – In 2015, 91% of the world’s population had access to an improved drinking-water source, compared with 76% in 1990. Well, wow! I didn’t know that! Let’s notice and celebrate real progress for citizens of the world. Let’s hope that 2016 brings other good news for the world.